Let Dr. Roberts take good care of you. Smile more with crowns in a day. Achieve the smile you've always wanted. Dr. Roberts and his staff have been serving patients in the Foothills of California for over 25 years. Located in Cameron Park, California, Dr. Roberts’ practice focuses on the needs of his patients in a warm, friendly, and caring environment. 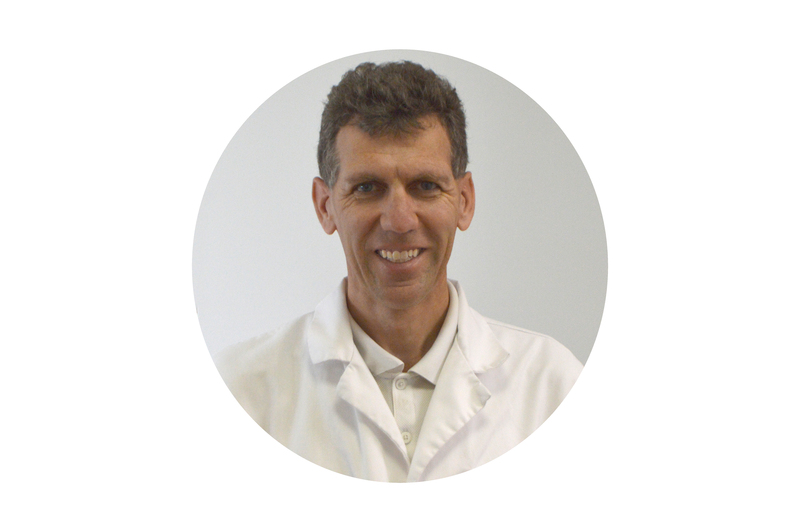 His professional approach concentrates on taking special care to listen, understand and work with you to maintain good dental health and achieve your desired results with the perfect smile. Dr. Roberts offers services ranging from Invisalign and veneers to general dentistry, including fillings, cleanings, implants, crowns, dentures and more. The office utilizes the latest digital technology to ensure patients receive optimum care. Dr. Roberts has also been an Invisalign Premier Provider for several years. Dr. Roberts has been straightening teeth for 20 years and offers traditional braces for all ages. Orthodontics treats and corrects alignment issues of the mouth, teeth, and jaw. Using braces, retainers, and other devices, like the Invisalign® system helps straighten your teeth and correct the way your jaw lines up. The doctor will evaluate your needs and suggest the best solution for you. As an Invisalign Provider for over 15 years, Dr. Roberts takes special care to personally review each treatment phase to ensure that the full treatment plan is customized to the unique needs of each patient. This added care is how Dr. Roberts is able to successfully create the smiles patients desire and how he earned his Invisalign Premier status several..
Dr. Roberts works with children from their first Wellness Visit. In every visit, he makes sure your child’s teeth are healthy and remain healthy with regular check-ups and hygiene cleanings. His gentle touch and calm demeanor makes kids feel at ease. Dr. Roberts has enjoyed seeing children from their first visit to those now returning from college for a check-up! Dr. Roberts has extensive experience working with children and teens to help influence positive preventative care. Maintaining good oral hygiene is important for overall health. Healthy teeth and gums help your child not only look and feel good, but ensure your child can eat and speak properly. Dr. Roberts and his staff provide the full suite of preventative dentistry services, including routine dental services, such as exams, cleanings, fillings and even emergency dentistry, when needed. Whether your teeth need whitening, straightening or veneers, Dr. Roberts can help you make the right decision to achieve the smile you desire. He can advise you on the best whitening solution or the type of cosmetic services you may need to achieve the smile you desire. Whitening: Using the latest in bleaching technology, we can offer a safe method for creating a beautiful “brilliant” smile. 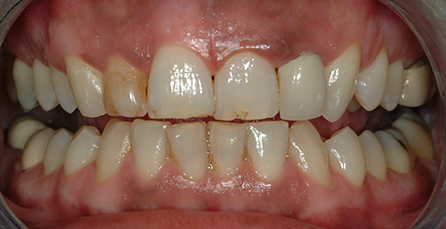 Veneers: In cases of extreme tooth discoloration, crowns or veneers may be the only choice. Or, if you are unhappy with the shape of one tooth or multiple teeth, porcelain veneers are an option. Dr. Roberts will evaluate your individual needs and advise you on how to achieve the smile you desire. Crowns: Sometimes when a tooth is damaged it may need a crown to protect the tooth and to make the tooth look better. 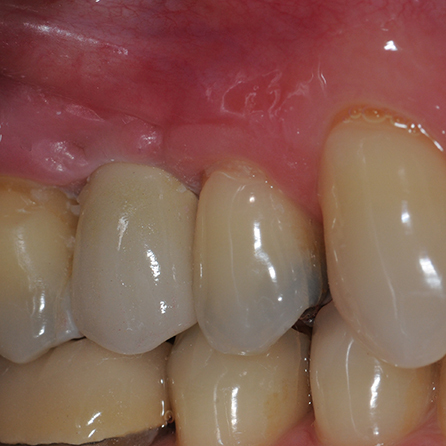 Dr. Roberts utilizes the latest CEREC digital technology to create crowns and in most cases can be done in a day without the need for molds of the teeth or a temporary crown. Orthodontics: Dr. Roberts offers both braces and Invisalign to straighten teeth and will evaluate the structure of your mouth to determine the best method of straightening your teeth. Dr. Roberts may also use braces or Invisalign in combination with cosmetic procedures. TMD (Temporomandibular disorders) are problems of head and neck pain. TMJ (Temporomandibular Joint) is the joint associated with the jaw which can have pain and limit movement. TMD disorders and the related symptoms can develop for many reasons. Symptoms of TMD may include: clicking, popping, swelling, difficulty opening, pain or ringing int he ears, headaches, clenching or grinding of teeth, change in teeth or jaw alignment. If you have any of these symptoms or are experiencing pain in the head, Dr. Roberts can help to diagnose and develop a treatment plan for you. Dr. Roberts offers complete dental care including routine extractions and implants. Dr. Roberts may recommend an extraction when a tooth is damaged beyond repair, a tooth has advanced periodontal disease, a root canal is not suitable, a tooth is impacted or a tooth may need to be pulled in preparation for cosmetic dentistry. A fractured tooth may require surgical extraction, bone grafting and/or implant placement. 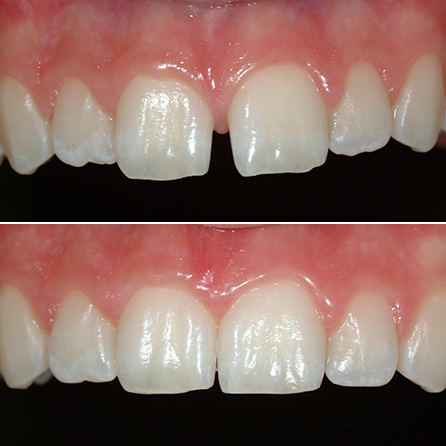 Denture fit may require a bone graft if the bone has deteriorated creating an improper fit. Advanced cases of TMJ may require joint surgery when the diagnosis indicates a specific joint problem. A root canal is a treatment used to repair and save a tooth that is badly decayed, cracked exposing the nerve or becomes infected. Trauma or infection of the nerve will result in the need for root canal therapy. Without treatment, the tissue surrounding the tooth will become infected and abscesses may form. Dr. Roberts can determine if a root canal is needed to preserve the tooth and he will discuss the different treatment options he offers with you. 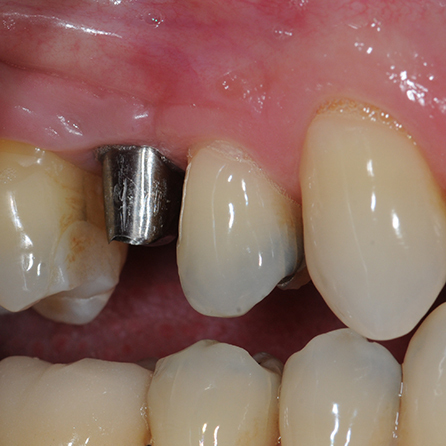 Dental implants are tiny titanium posts which are placed into the jawbone where teeth are missing. The bone bonds with the titanium, creating a strong foundation for artificial teeth. Dental implants appear natural and help to preserve the shape of your mouth and facial contour, while preventing the bone deterioration which occurs when teeth are missing. Keep your smile beautiful and your teeth healthy with preventive care, such as brushing and flossing after meals, regular dental check ups and professional cleanings with the gentle hygienists at Roberts Dental. 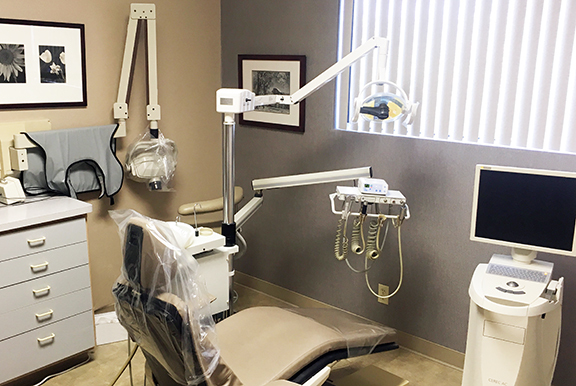 Dr. Roberts and his staff provide the full suite of preventative dentistry services, including routine dental services, such as exams, cleaning, fillings, periodontal scaling and maintenance, medicatons for the gums and teeth, and preventative oral health care instruction. Dr. Roberts will help you take the best care of your teeth to keep your smile healthy. Dr. Gerald Roberts, Jr., a dentist in Cameron Park, has extensive experience in general dentistry, cosmetic dentistry and Invisalign treatment. Dr. Roberts grew up in Placerville, after graduating from Loma Linda School of Dentistry, Dr. Roberts returned to the foothills. In 1989 he began his practice, Foothill Dental Group, in Cameron Park in partnership with his father, a long time dentist in Placerville, treating patients with varying dental, orthodontic and cosmetic needs. As treatment and technology change through the years, Dr. Roberts brings new and advanced techniques to his practice, including 3D X-ray, CEREC digital technology, TMD and Sleep Apnea treatments. As an Invisalign Premier Provider, Dr. Roberts has been bringing out the best smiles with Invisalign for the past 16 years. Dr. Roberts’ attention to detail with restorative and orthodontic experience makes for a unique combination in working with the Invisalign technology. Dr. Roberts, a certified Invisalign provider, has personally visited the Invisalign Plant in Costa Rica for direct instruction. He is one of only a few product testers for Invisalign, helping Invisalign lead the way in developing new and innovative treatments. Dr. Roberts also has advanced training in implants, obstructive sleep apnea and digital dentures. Dr. Roberts – I can’t thank you enough for seeing me and helping me get through a series of mouth problems with implants and dentures. I am so happy that my friend recommended you! We didn’t think our first visit to the dentist was going to go well for our son, but Dr. Roberts and his dental hygienist created such a positive first-time experience for him that he now looks forward to going for cleaning and check-ups. We are so grateful to Dr. Roberts and his caring staff! I have enjoyed great results with my Invisalign treatment with Dr. Roberts. He spent great care in every detail of my treatment. I am eager to share my smile with others! 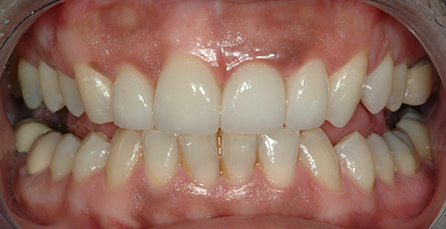 I had his one problematic tooth for years that no prior dentist was able to treat to eliminate the pain. Thanks to Dr. Roberts, I am pain-free and happy to eat my favorite foods without sensitivity. I’m not one for doctors, but my co-worker encouraged me to see Dr. Roberts when I had a tooth ache. Dr. Roberts and his staff put me at ease right away, even though we were looking at a necessary root canal to treat it. That was 15 years ago and he’s been serving all my family’s dentistry needs ever since. © 2019 Roberts Dental | All rights reserved.